Before you have even got your hands dirty, picture exactly what you want your finished sculpture to look like. Keep that idea in your head throughout the entire process. It might help to draw out what you want your art to look like from several different perspectives and angles. Remember to keep the dimensions, ratios and lengths all correct when doing it though. 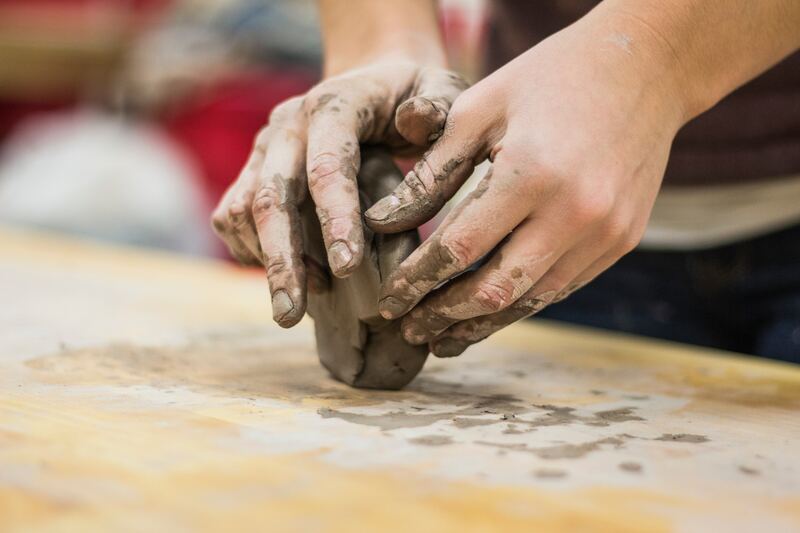 When you are starting out as an amateur sculptor, you don’t want to be using dry clay. It can be difficult to work with. Wetting your clay will make it much easier. You can test this by getting a small piece and rolling it until it forms a small cylinder. Bend the clay so it forms a horseshoe shape. If your clay has cracked then you will probably need to add more water. If it has bent smoothly, you’re ready to start moulding. 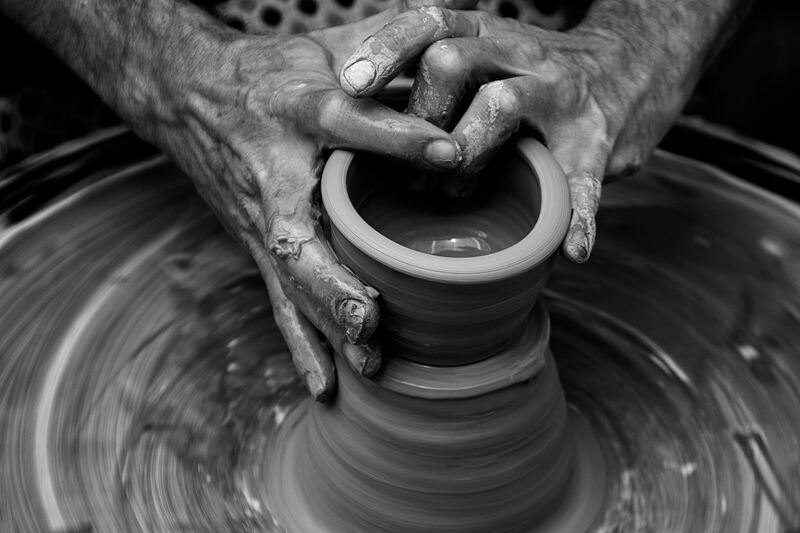 There are some easy methods to start building up forms when you are at the potter’s wheel. Using coils of clay is a great way of building up sides of hollow shapes. Laying it down in a spiral can stop the clay from easily collapsing. Recesses then can be made by pinching, then digging out with your thumb and finger. Advanced sculptors are able to create amazing pieces of work with limbs. However, this will often be done with something called an armature (a long, metal skeleton structure that can hold the clay’s weight). You may develop the skills to use this apparatus at a later date. But if you are just starting out then it is a much wiser choice to stick to more contained designs. You would be amazed how much you can learn by seeing someone else sculpt. Whether you go to a local art studio or watch videos on YouTube, looking at the techniques more advanced sculptors use can help you. You will be able to start mimicking these techniques and see what works best for you.